BLENKO Joel Myers #6530L Optic Glass Decanter in PEACOCK--PRISTINE! 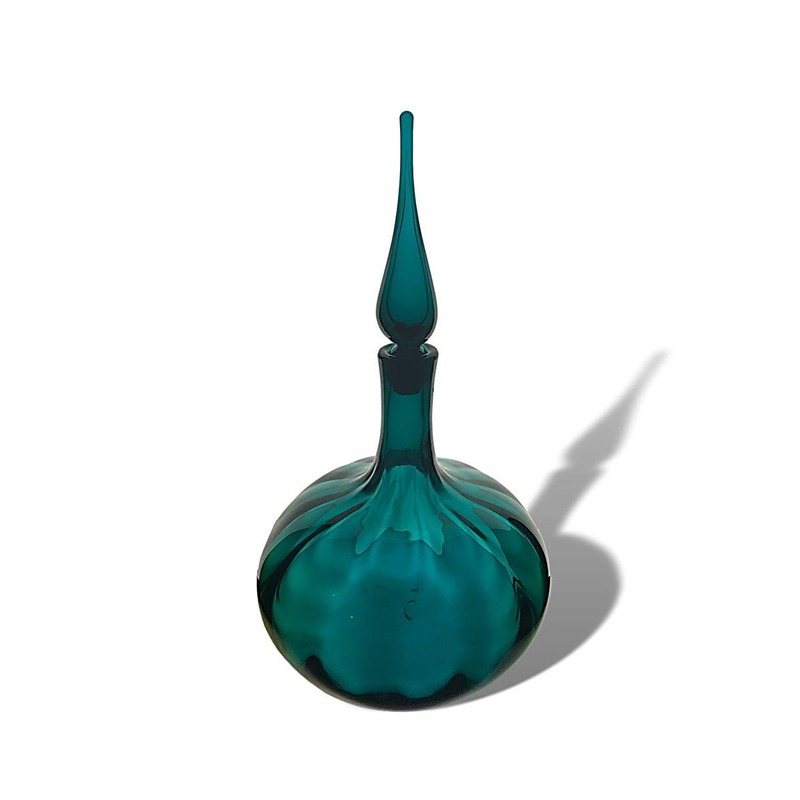 Blenko's gorgeous #6530L optic decanter, designed by Joel Myers for the 1965 catalog and produced through 1967, is one of Blenko's most popular 'genie bottle" designs, and with little wonder: the optics on this beauty are sublime! Moreover, in 1965/66-only PEACOCK AND in the larger size, this piece is very very uncommon and crazy desirable! While both the 6530L (16" - 17")and the 6530S (13" - 14") were in production for the same time period, it has always struck to me that the LARGE version was much harder to come by and my research, in fact, bears this out. 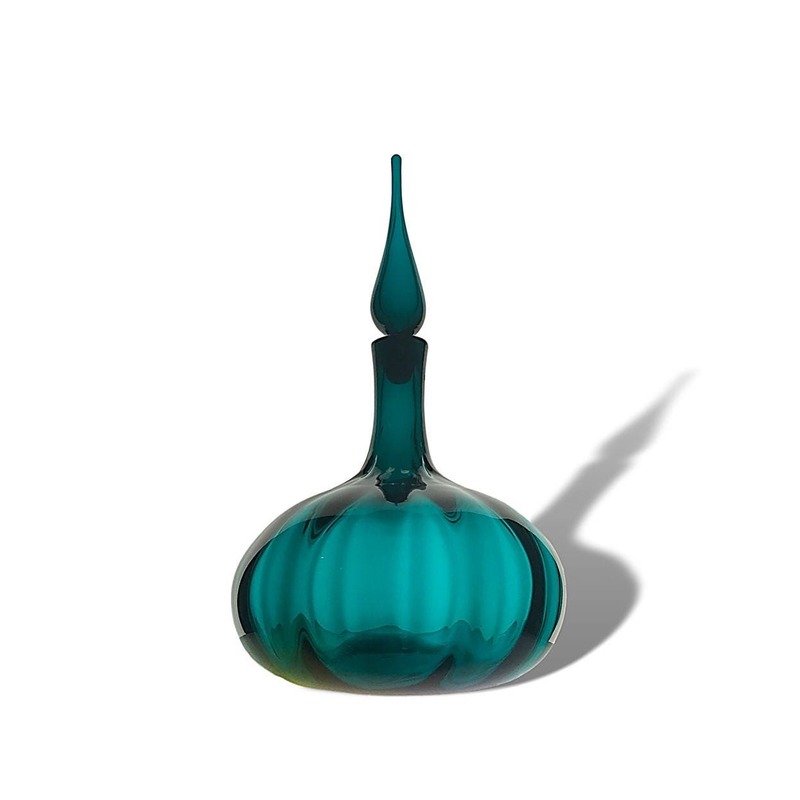 Of the 30 #6530 decanters sold since 2007 according to Worthpoint, only FIVE of them are in the larger size, and only ONE in Peacock! Condition: Pristine - looks never to have held liquid!